Boaz Albert is suffering so that Israelis will be safe from unfair, draconian use of defense laws, attorney says. 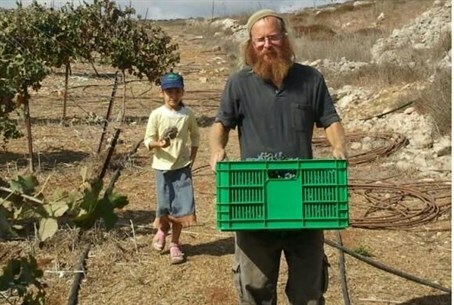 Attorney Adi Keidar of the Honenu legal rights group is representing Boaz Albert, who continues to fight for his right to return to his home in Yitzhar despite an IDF order prohibiting him from entering Judea and Samaria (Yehuda and Shomron). Albert has been repeatedly arrested for refusing to abide by the order, which was issued without a hearing or trial. The army has the legal right to issue distancing orders against Judea and Samaria residents it considers dangerous without informing them of the reason for its decision. During one arrest, Albert was repeatedly tasered in an incident that gained national attention and led the Israeli Police to temporarily halt taser use. Keidar spoke to Arutz Sheva about the most recent development in the case, which saw a Magistrate’s Court judge release Albert from police custody after his latest arrest. The judge criticized the Israel Police’s behavior in the case. Her ruling has not yet gone into effect because of an appeal from police, who have asked the District Court to overturn the decision and leave Albert in custody. Keidar told Arutz Sheva that his client is suffering, but that the judge’s condemnation of the system was a hugely significant moment. “This was an unprecedented ruling that essentially sent a message to the army, the Shin Bet, the police and the prosecution not to have a light finger on the trigger. The judge ruled that the fact that an administrative order has been issued against a person does not allow authorities to automatically assumed them to be dangerous,” he said. “The court agreed to the argument that Boaz Albert has effectively been singled out as a target,” he added. Keidar expressed hope that top IDF commanders would back down and rescind the order. “I’m sure the commander did not think that this order would cause so much trouble to so many judges, would lead to so many hearings… and especially [did not expect] the part with the taser,” he said. Boaz and his family are facing many hardships, he said. Albert’s hope is that his struggle will ultimately be for the good of all Israelis, Keidar said. “I hope that more people will read the judge’s ruling, and that this will have a positive impact on our shared future,” he concluded.